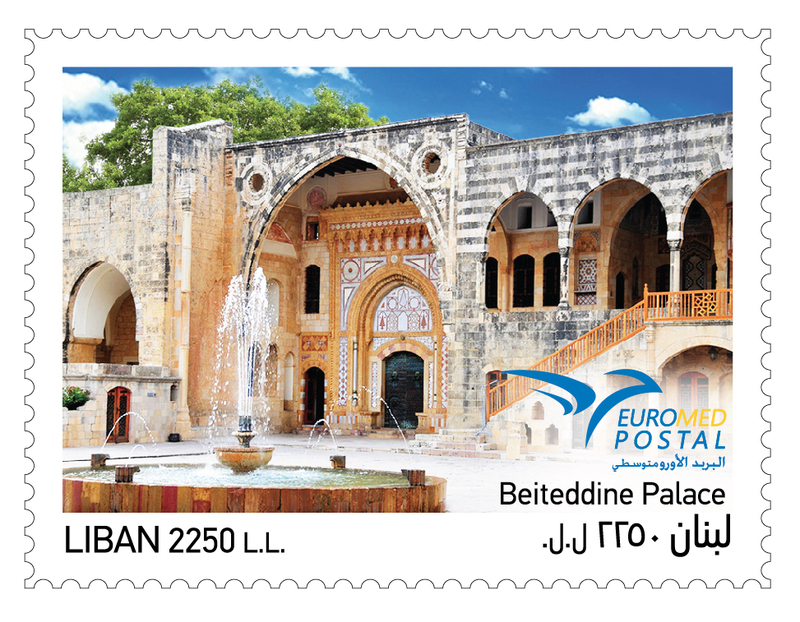 The EuroMed Postal Union for the Mediterranean - PUMed, founded in 2011 is a Union of Postal Operators in the European & Mediterranean Region. 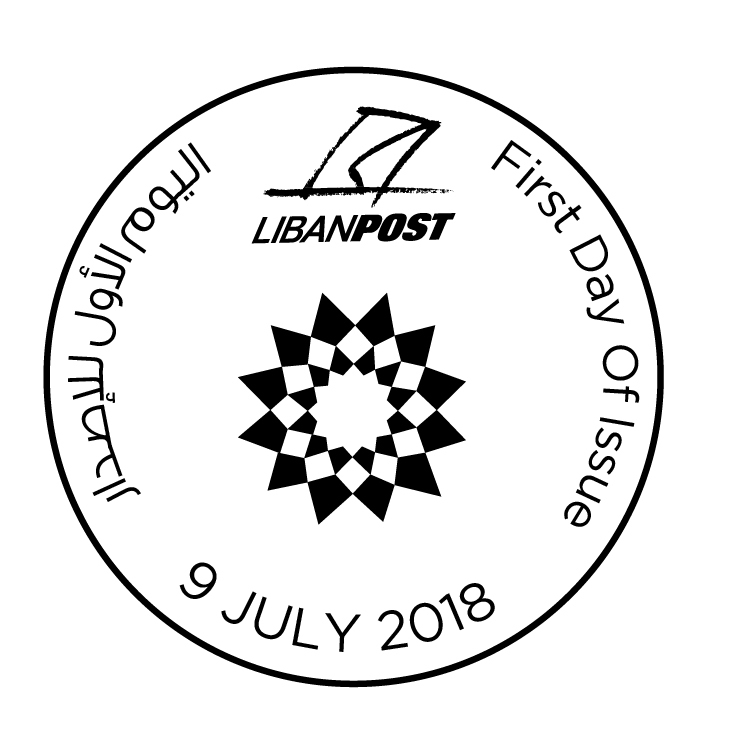 As member of The Postal Union - (PUMed) and following the annual EuroMed Postal Joint stamp issuance, which aims to promote philately and shed light on the different cultures and history of its members, LibanPost issued a stamp on the 9th of July under the common theme for 2018 " Houses in the Mediterranean ". 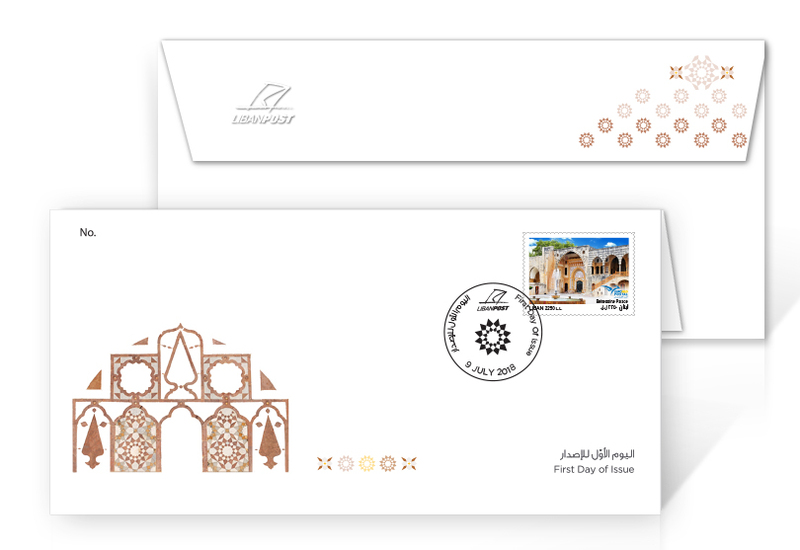 This stamp continues the EuroMed series launched in 2014 and the last and previous 2017 Theme “Trees in the Mediterranean” . The architecture of Lebanon embodies the historical and cultural influences that have shaped Lebanon's essence and environment. When we talk about the Lebanese structure we enter a world of sunshine and light, of vivid color and subtle patterns, of simplicity of form and sophistication of proportions and that is why the Beiteddine Palace in the Chouf district was chosen to represent the Lebanese traditional architecture. The Beiteddine palace complex, Lebanon's best example of early 19th century Lebanese architecture, was built over a thirty-year period by Emir Bechir El Chehab II. It was declared a historic monument in 1934 after it’s restoration to its original grandeur by the General Directorate of Antiquities. The palace incorporates many traditional forms of Lebanese design and is a model of elegance.